Twirl is a chocolate bar introduced and manufactured by Cadbury in Ireland. Initially, it was a single bar when it was first sold in the 1970s, but after almost two decades, it was repackaged as a twin bar. This bar is specifically produced in Ireland but it was marketed worldwide in the 1990s. Right now it holds the record for being the best-selling chocolate bar of the Cadbury Company. 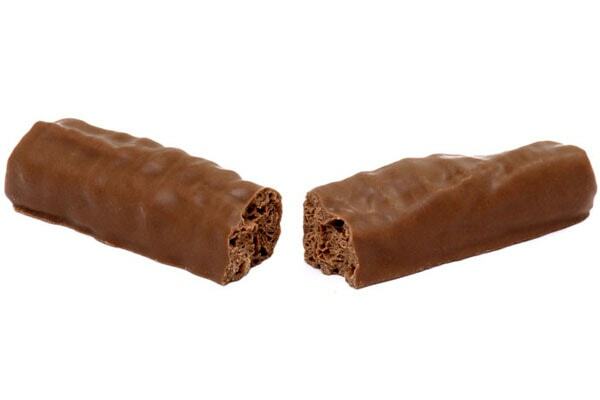 One of the unique identities of the Twirl chocolate bar is the Flakes it has inside the milk chocolate coating. Flake is actually one of the base chocolates of Cadbury. It consists of very thinly folded milk chocolate. It was first made in 1920 and is still being used now in several Cadbury chocolate bars. It started when an employee noticed flaky folds of chocolate that fell off from the chocolate machine. One Twirl chocolate bar has an accumulated calorie count of 115. It has 7 grams of total fat, 4 grams of saturated fats, 0 grams of polyunsaturated fats, 0 grams of monounsaturated fats, and 0 grams of transfat. It also has 0 milligrams of cholesterol. Moreover, one Twirl chocolate bar has 20 milligrams of sodium, 0 grams of potassium, 12 grams of total carbohydrates, 0 grams of dietary fibers, 12 grams of sugars, and 2 grams of protein.When it comes to the vitamin count, on Twirl chocolate bar has 0% in Vitamin A, Vitamin C, Calcium, and Iron. The packaging of the Twirl chocolate is a blue aluminum foil with the word “Twirl” in big and bold letters highlighted in yellow color. One packaging contains two Twirl chocolate bars.